I feel quite smug when I look at people performing rituals to appease Gods. I have never been compelled to fast and hope for redemption. No, that definitely does not mean that I haven’t tried to appeal to the better Nature of Gods on the morning of many an exam to ensure I score more than I deserve. But I think, that if there is a person called God, that person wouldn’t be so corrupt as to dole out marks, money and marital bliss in return for renunciation or offerings. Honestly why would a God care how many fasts you have kept and why would that God choose to praise you by rewarding you with your heart’s desire. It’s all too simple isn’t it? In short I believe I might uncomfortably occupy that space called religious agnosticism. This makes me quite capable of stepping into a place of worship to enjoy moments of calm, while observing the architecture, the paintings and murals. But I have never quite believed in the rituals that people engage in. For me they are mere formalities to facilitate my visit. Take the practice of taking off one’s shoes before entering a religious sanctum for instance. During my formative years, I was exposed to my mom’s friend who was finicky and expected everyone to take off their shoes before entering her living room. I started thinking of temples as similar places owned by finicky Gods. Like I listened to the aunt hoping to get chocolates, I followed rituals to visit temples in order to be able to observe. My understanding of such demonstrations of faith such as walking barefoot to a pilgrimage, is limited to say the least. I can’t help but engage in a fierce debate when such instances meet my eye. 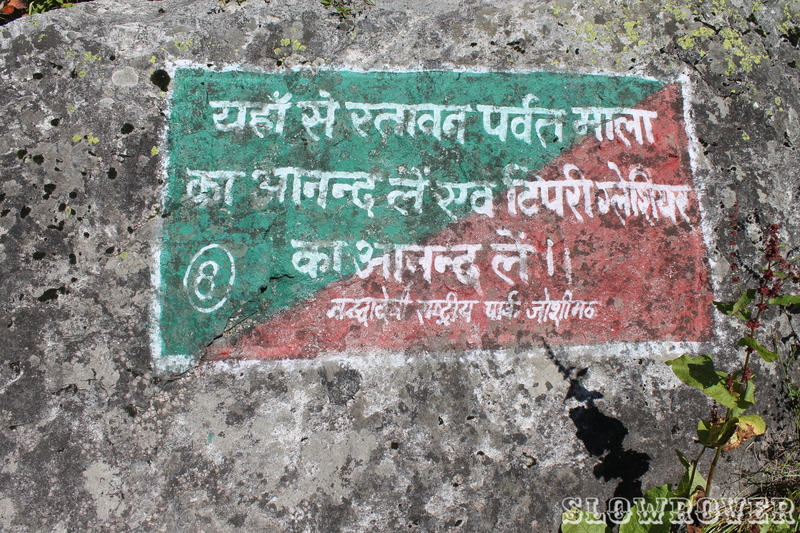 A similar opportunity presented itself to me during my sojourn in the Valley of Flowers, Uttarakhand (India). 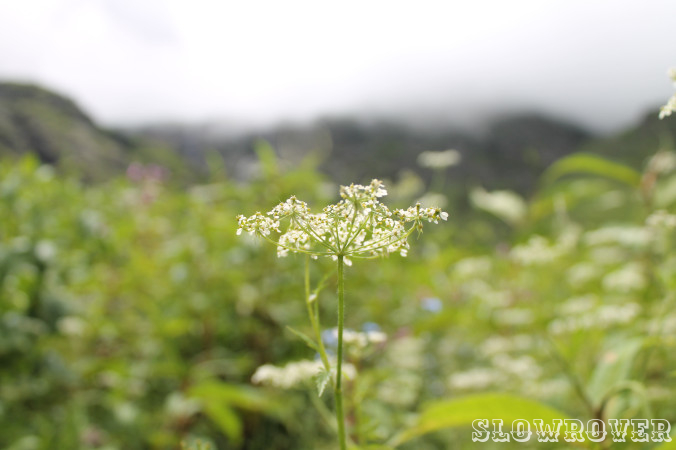 Valley of Flowers – if you haven’t taken a look at the hyperlink, I’ll state the obvious, it is a valley of, guess what? Flowers! But these aren’t just any flowers. At least not the ones you can order online for your mom’s birthday. 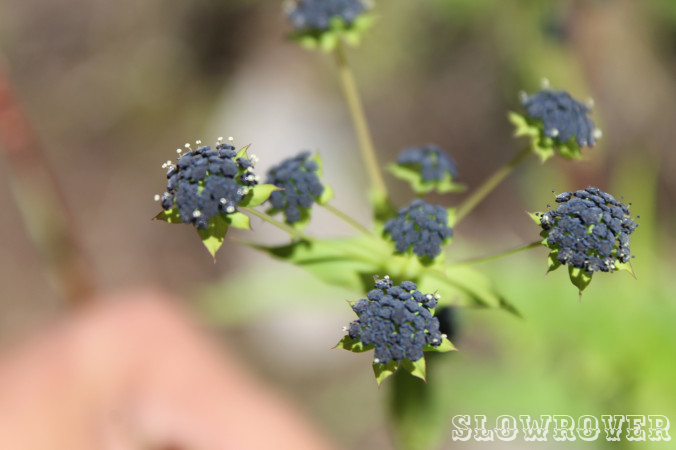 They are flowers which are a part of the sacred Himalayan alpine vegetation. 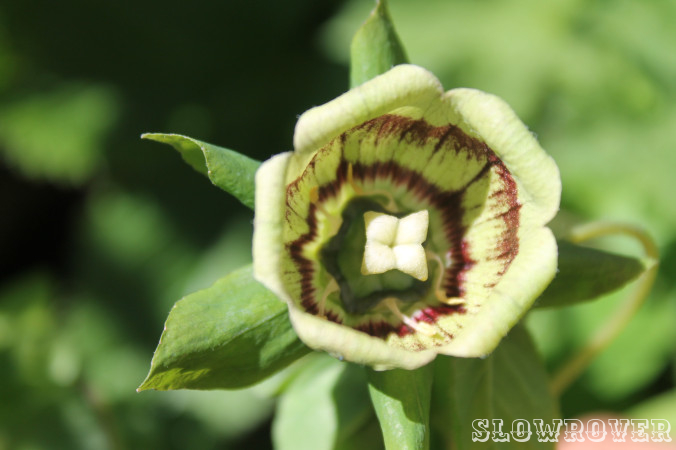 Unique, bashful, temperamental, the flowers live and breathe in the valley, watched closely by the guardian mountains of the Himalayas with their burly bodies and beards of soft white. Streams which simmer with shy gaiety keep them company with their gurgling and shimmering warmth. And pretty butterflies and naughty wasps are aplenty. No wonder it features prominently on many a traveler’s ‘bucket list‘ and finds mention in some of the greatest works of literature. 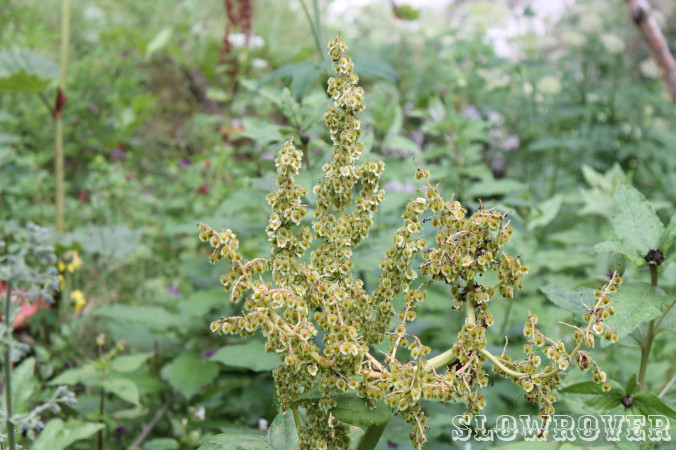 Such is the enchanting beauty of the valley that Frank Smythe, the British mountaineer froze in his tracks when he accidentally chanced upon the valley and his encounter resulted in a book – The Valley of Flowers. Oh and of course, it is also listed in the UNESCO World Network of Biospheres. Well, I for one don’t really have a bucket list. A place catches my fancy and I start planning a trip (sometimes when it doesn’t work out, I add the name to a secret ballot from which one day when I run out of places, I shall draw a name at random and scurry off to sip tea there). 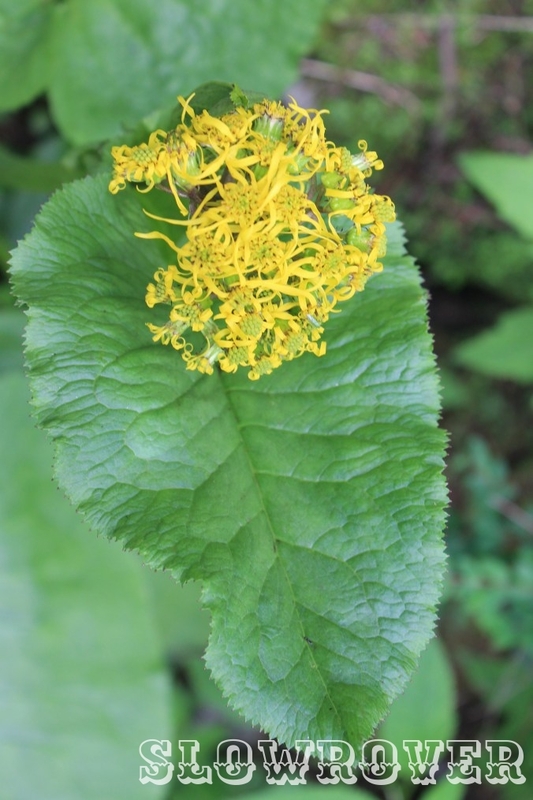 So, with great eagerness, I set out to explore what promised to be an unforgettable rendezvous in the Himalayas where there are several species of flowers, names unheard of, some dangerous, fatal even, nevertheless beautiful. Now when I head to the mountains, I do it for the vantage point above the world that the peaks offer. I do it for the emeralds swaying on the boughs of trees, the majestic robes of cloud which flutter in the wind and the Sun which blushes a deeper red while setting in the hills than in the plains. Distance from the chaotic network of roads in the cities which make life run like clockwork, from the hands of soot outstretched to hold and wring my wind pipes, from an armor of people who protect me so well that I’m at no risk of discovering myself ever. The kilometers which span between the city and the hills, bring this distance for me. 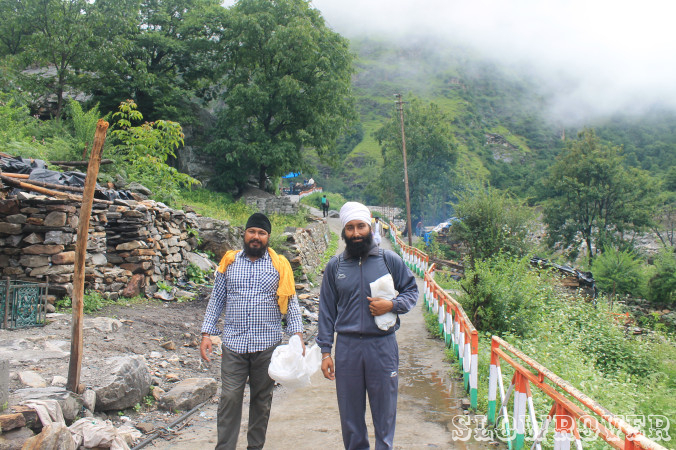 As I began the ascent to Ghangharia, the village which offers lodgings for the travelers aspiring to visit the valley, I was hoping for all of this and more. However, what greeted me was not a pristine picture but a picture which had been knocked clean off the wall and the inhabitants of the frame were swaying in the wind. An iron bridge and wide concrete roads on which vehicles were plying with great urgency, more hawkers selling more goodies in shimmery plastic packets than the New Delhi Railway Station and more people around me than I was likely to meet at a party in my city. What was the reason? 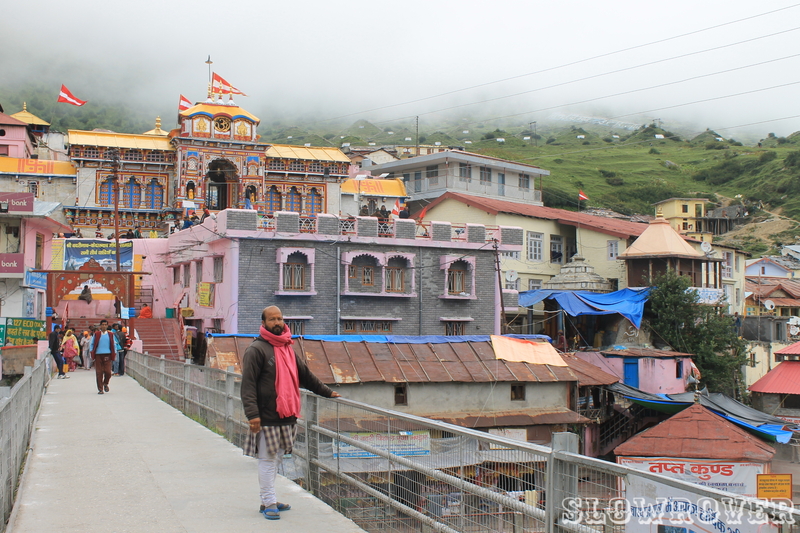 Apart from being a major attraction for nature lovers and Himalaya enthusiasts who throng the village to see the marvels of the Valley of Flowers, Ghangaria is also swarming with pilgrims who come to visit the shrine of Hemkund Sahib. Many of them walked beside me during the ascent, holding a polite conversation before quickly overtaking me. Some of them preferred to walk barefoot and that’s perfectly not unusual for pilgrims in India. Now I am a perfectly jovial person as anyone who would have met me knows. However, I have a daily quota of joviality which is directly proportional to the number of people I meet. 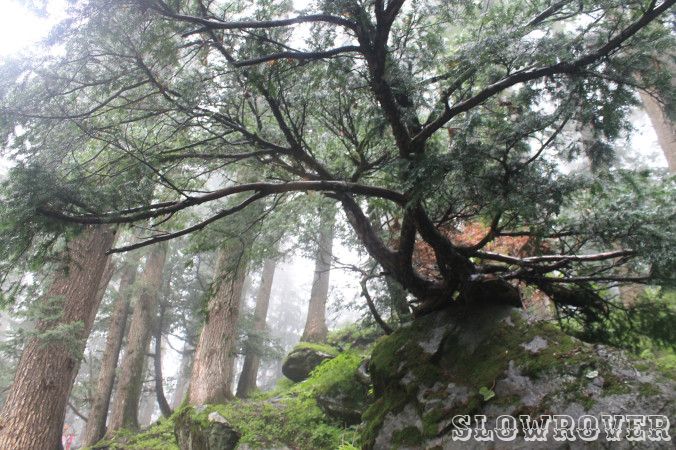 Hence, I was becoming increasingly irritable, aloof and the backpack started to feel much heavier than it was– when finally the respite came as I turned another dreary corner. It was as if I had crossed an invisible barrier dividing two countries. The air was a playful child which greeted newcomers with an enthusiasm which could knock down unprepared souls. The assault on my senses became pleasurable all of a sudden as the surroundings became beautiful. And amidst the new-found liberty of the mountains, I set the pace for the rest of the journey. The path meandering through the mountains abruptly came to an end, vanishing within a huge intersection of a small village which by no means looked empty or quiet. I found myself moaning again. Would I never be rid of people on this trek? I had reached my destination for the day, tired and spent, but excited because of the promising aspects of the next day. I waited for the morning like I had waited for the morning I was to be awarded a Student of the Year (or something along the same lines) award in 6th standard. Unlike that day, I did not have a nest of butterflies in my stomach who threatened to fly out through my windpipe. I had a cheery breakfast and made more acquaintances before setting out. We cut across the village diagonally at a brisk pace to get to an official barrier. All the jagged, chaotic beauty I had been yearning for remained elusive. There still spread some beautiful, soil and moss-covered rocks between the valley and me. 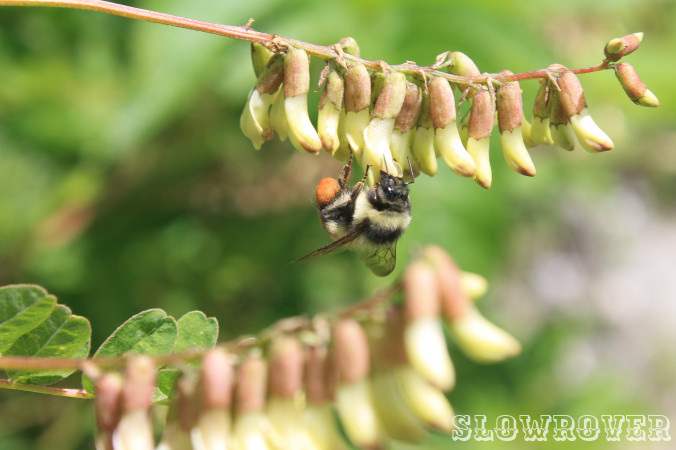 Had I not been so preoccupied with getting there, I would have probably paid them the attention they deserved. I feel obliged to give a slight warning to future explorers. Don’t bother going there if it is order that you seek. I for one, usually tire of order and the chaos which it sows in my city life, the burdens of which are noticeable within a week of turning my back to the mountains. I love the mystique and the exotic chaos of the mountains which calms my mind and gives it the depth I seek. And this valley, an abode of the beautiful chaos whose song is sung by the countless species which come into existence in the delicate habitat, is perhaps the best chaos I have witnessed. Mr. Leaf here looks really good with the yellow hair, doesn’t he? As I rested by the river bank, soaking in the glory of Nature which surrounded me, my mind wandered. I thought about sundry things. From the botanist who had lost her life to this valley and its mysteries to the Lord Indra who sought his pleasures here. And then I thought about myself. The valley meant so much to me while I probably meant nothing to it. Just another of those thousands who flock to see the wonders it holds in its arms. Then something interrupted me. Not something actually, someone refilling their bottle at the stream while making what seemed to me as much noise as possible. Another possible acquaintance, another interruption, who I observed chose to walk barefoot. Another pilgrim! But why walk barefoot to the valley? Not really, a splash in the stream led to wet shoes which were now drying on the bank. But my presumptuous query about the shoes managed to start a debate. Lots of words cropped up – renunciation, salvation, and beliefs – yes, all the stock phrases basically. Then the conversation started taking an interesting turn. My acquaintance wanted to know why would I climb mountains, why would I walk when I could ride, why would I eat sparse meals in the villages when I could afford lavish dinners in the cities? Choice – was my simple answer. And then that victorious smile spread upon my new friend’s face and something dawned upon me. Many musings later, I found myself getting up to join the rest of the group to head back. I was reluctant. I did not want to leave, not yet. But I had to. This view would have to do for now. I was, after all, a pilgrim! 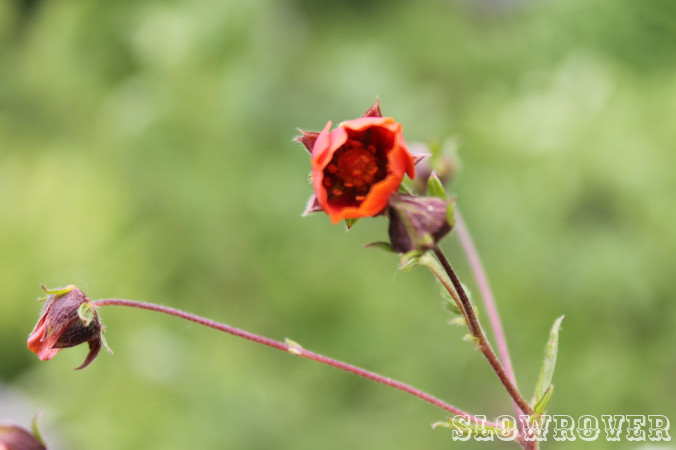 © Copyright for all the images owned by SlowRover and Swetambara Chaudhary. I don’t know whether he succeeded in his mission or not, but I hope he never gave up trying. SR Travel Tip: If you’re ever on a backpacking holiday in Nepal, SlowRover advises you to cover the scenic Annapurna Circuit. 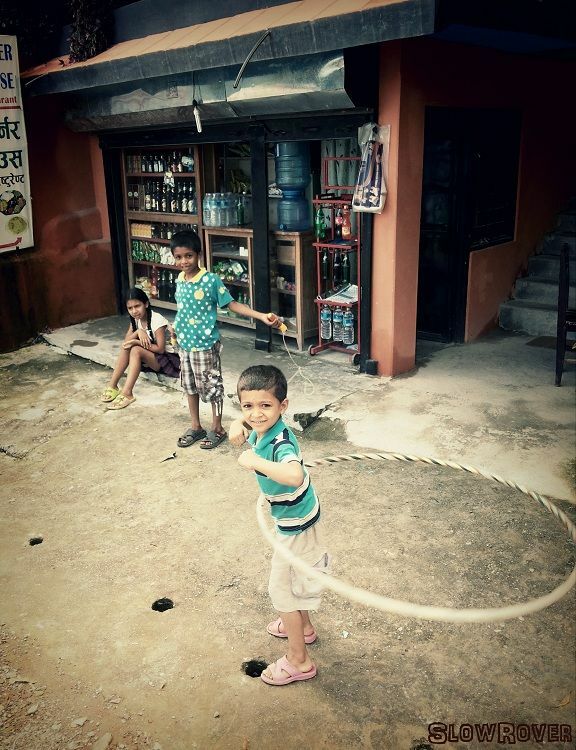 Want to know more about Pokhara, Nepal? 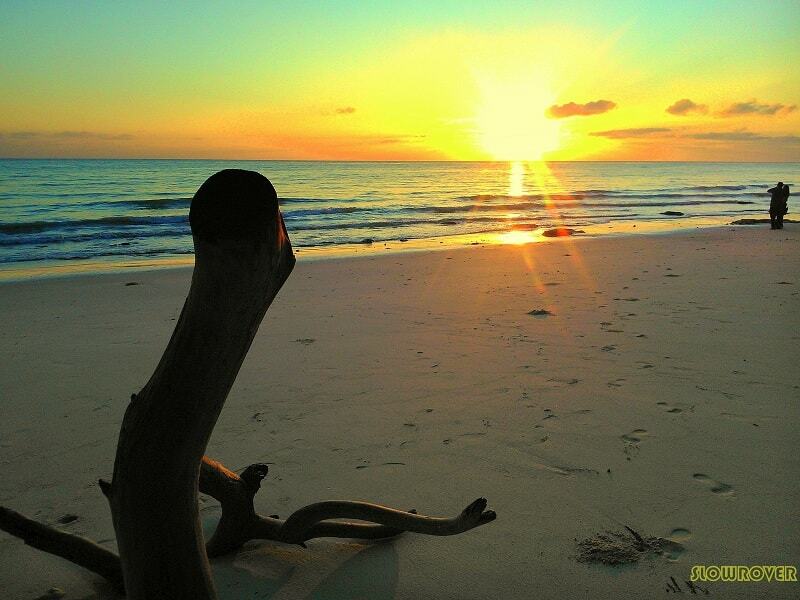 Clicked at one of the most magical places to witness a sunrise – The Kalapatthar Beach (The Blackstone Beach) of Havelock Island in Andamans. Thousand of stones, black in colour, are spread across floor of this sandy beach. Imagine watching the sun rising from the distant horizon while being perched on one such stone. SR Travel Tip: While Kalapatthar is a sunrise beach, make sure to watch the sunset from the world renowned Radhanagar beach of Andaman (Pics here). Also, try Garlic Butter prawns at Anju Coco while you’re there! Want to know more about India? 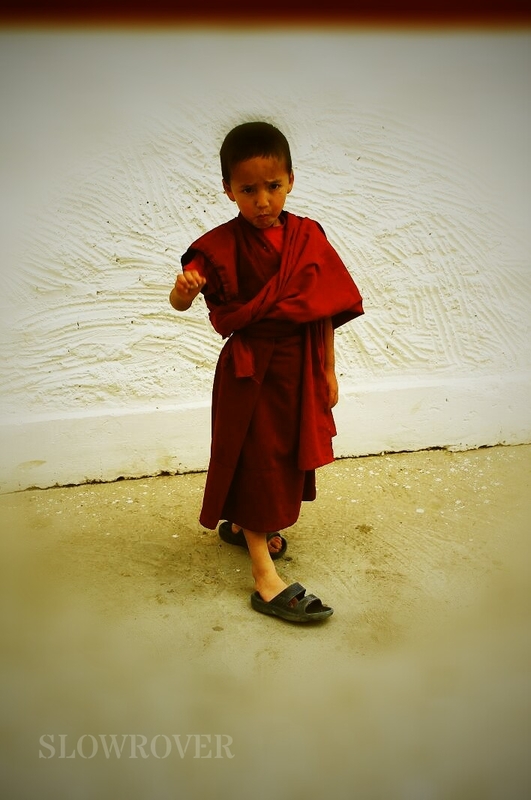 While exploring the Hemis monastery, I ran into this young man. Instantly, my hands whipped out my camera, thinking about how good his red robes would look against the white. But he shook his face in anger and turned away. But as I stowed away my camera, he beckoned. He simply took the chocolate I held in my other hand and asked me to proceed with the photo. So, by renouncing a bar of chocolate I managed to click this image. SR Travel Tip: Don’t plan a trip to Ladakh which doesn’t have Pangong Tso in the itinerary. You could enjoy amazing street food in Leh, but if you want to have a sit-down dinner, head to Gesmo or Bon Appetit. Want to know more about Ladakh? On a bus ride from Manali to Chandigarh, as usual I was trying to capture the countryside which stretched and yawned outside my window. 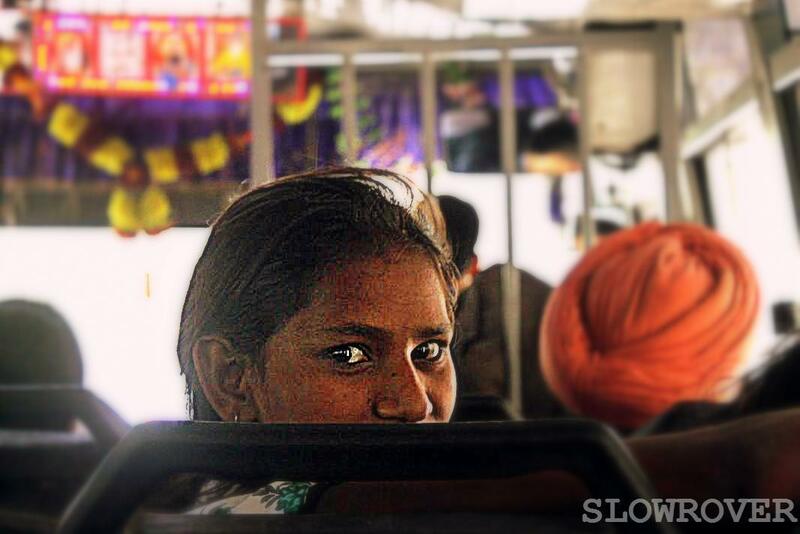 That’s when I realised that this young lady had been trying to catch my eye for a while, hoping to get clicked. Nowadays, I don’t just stare out of the window. 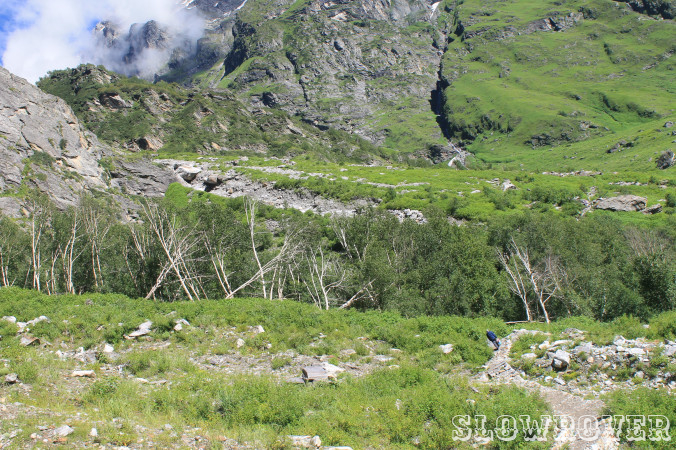 SR Travel Tip: While backpacking across Manali, don’t forget to check out the Old Manali region. 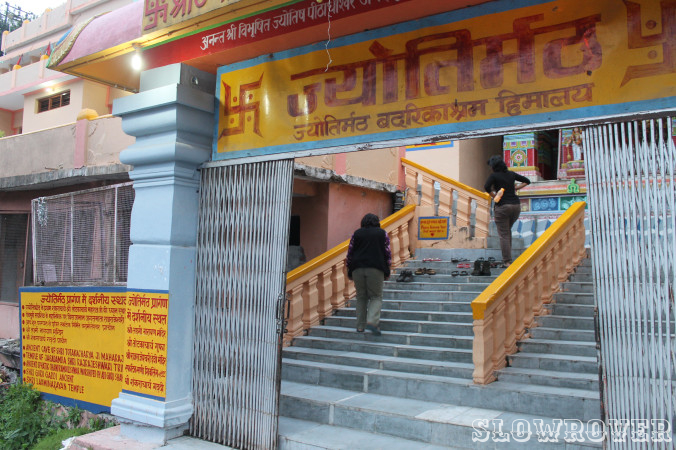 SlowRover recommends Johnson’s Cafe for eating out in Manali. 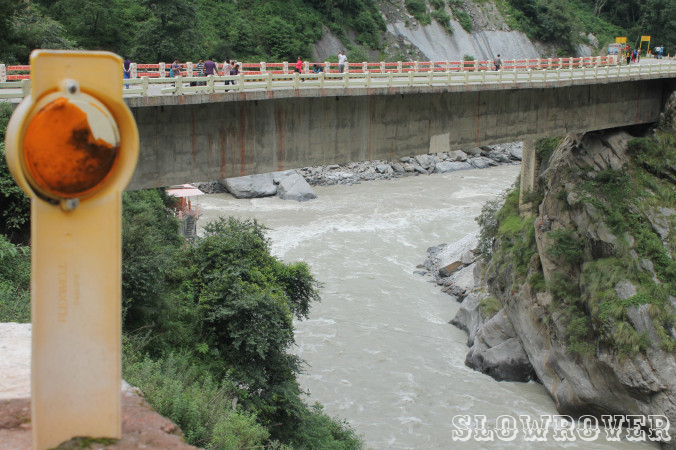 Want to know more about Manali, India? 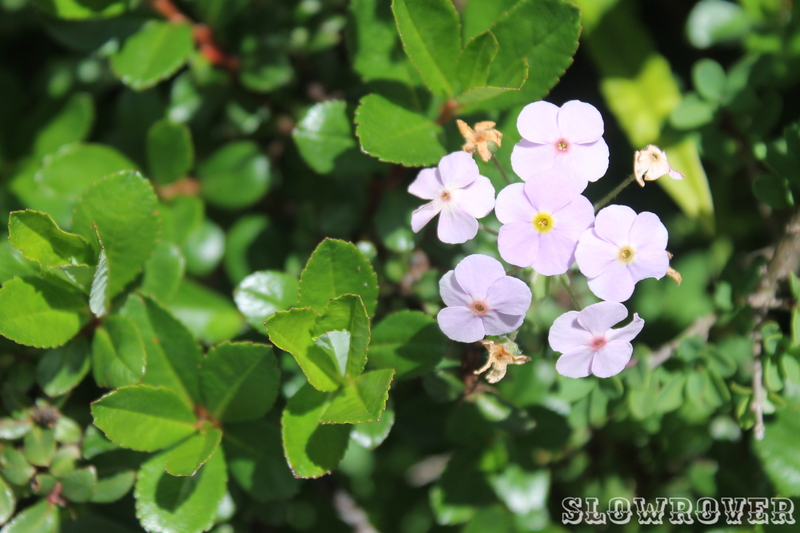 Follow Slow Rover on Twitter and Facebook! Clicked on a lazy Sunday morning. 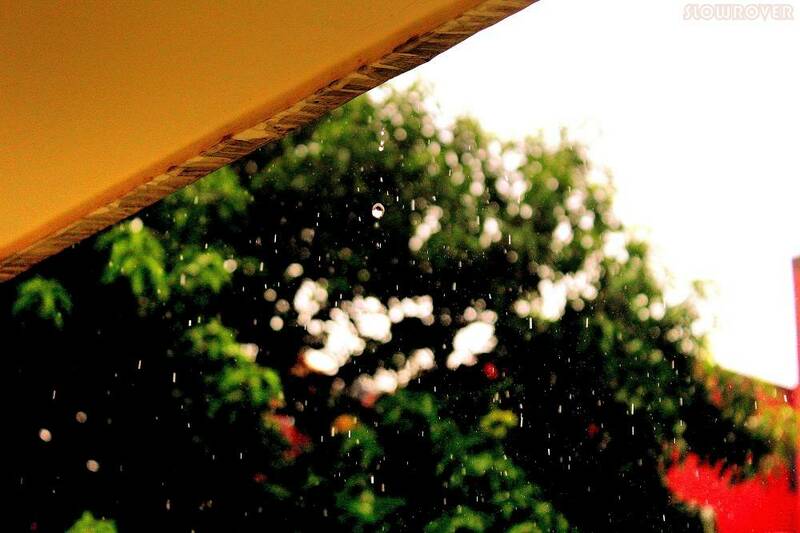 Reading a book while witnessing the spectacle of a passing monsoon is heavenly! SR Travel Tip: One of the best places to visit during monsoon is the Western Ghats region of India. Boasting of hill stations like Matheran, Lonavala, Kaas Valley etc., the Western Ghats is alive with a lovely tinge of green during the monsoon season. Where the land is beautiful, the sky is pure. Clicked at the shore of the Begnas Lake near Pokhara, Nepal. 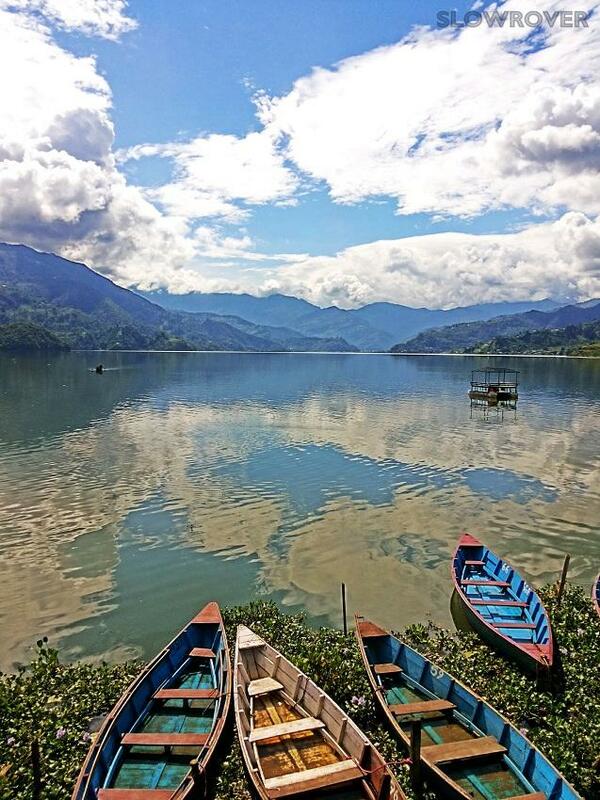 SR Travel Tip: Pokhara is one of the most picturesque tourist town of Nepal. A hike to the famous World Peace Pagoda is a must.